You are here: Home / Medicaid / Want to Avoid the Nursing Home? Try PACE. Want to Avoid the Nursing Home? Try PACE. Sometimes government really does work right. The United State Marine Corps comes immediately to mind. Another program, new to Randolph County and surrounding areas, is the Program of All-inclusive Care for the Elderly. PACE. 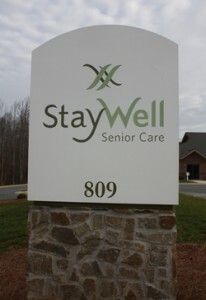 In Randolph County, StayWell Senior Care operates the PACE program. StayWell is a joint venture of Randolph Hospital (lead partner), Moses Cone Health System, and Hospice of Randolph. However, the main thrust of the program is to provide what I think of as “day care plus” for someone who would otherwise be in a skilled nursing facility. The idea is that it should be less expensive for the government than nursing home care, and for the individual it stalls having to go to the nursing home (you get to go home at night). The Randolph County facility is an extremely attractive new building just to the west of I-73/74 at the McDowell Road exit. In addition to the bright and roomy areas for day activities, rehab, and meals, there is a complete medical clinic. Under the management of StayWell Senior Care, Patricia Shevlin, MD is the on-site medical director and Tracey Murphy is the Executive Director. The staff is friendly and they smile. I would, too, if I worked there. To qualify, an individual must be over 55 and live in Randolph, Montgomery, or certain parts of Moore Counties. Physically or medically the applicant must qualify under traditional standards for needing nursing home level of care but still be capable of being cared for in the community (that is, PACE) setting. Obviously PACE will not be for the extremely frail or sick person. No, Medicaid qualification is not necessary. If someone wants to (and can) pay, the private pay rate is about $4,200 monthly. On the other hand, Medicaid will cover the costs for a qualified individual. The qualification rules are very similar to the regular nursing home rules, but with some adjustments. 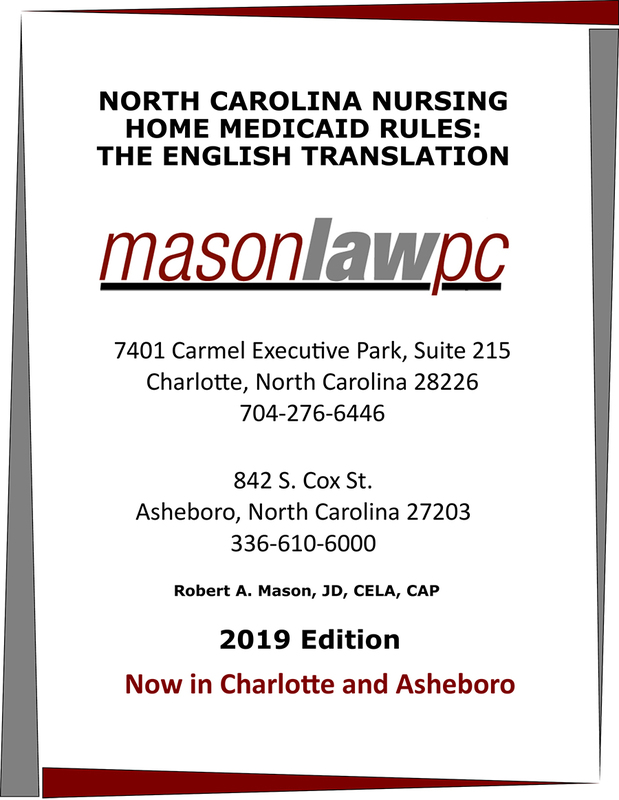 An explanation of the North Carolina Medicaid nursing home rules can be found at www.masonlawpc.com (click on “Hot Topics”). First, a successful Medicaid applicant must have total monthly income less than about $4,200. For a married applicant, only the applicant’s income counts; the stay-at-home spouse’s income doesn’t count. Perhaps the biggest difference in the PACE rules (from “normal” Medicaid) is that in determining how much of the applicant’s income will be paid to PACE before Medicaid kicks in, the applicant will deduct $972.50. The idea is that this amount can be used to cover household expenses since the applicant will be maintaining a home to return to every evening. Also, as is the case under “normal” Medicaid, if the stay-at-home spouse has monthly income of less than $1,967 enough of the applicant’s income can be diverted to the spouse to get her or his income up to that level. Finally, Randolph Hospital is a rare hospital that focusses on quality food. Food that any of us would happily eat. Randolph Hospital runs the food operation at PACE. Any questions? I’m impressed with PACE. Two thumbs up! I am now 65 and in good health. I attended a class where you recently spoke at First Baptist – Asheboro. Your newsletters are informative and you use easy to understand language. We know who to go to when the time comes.